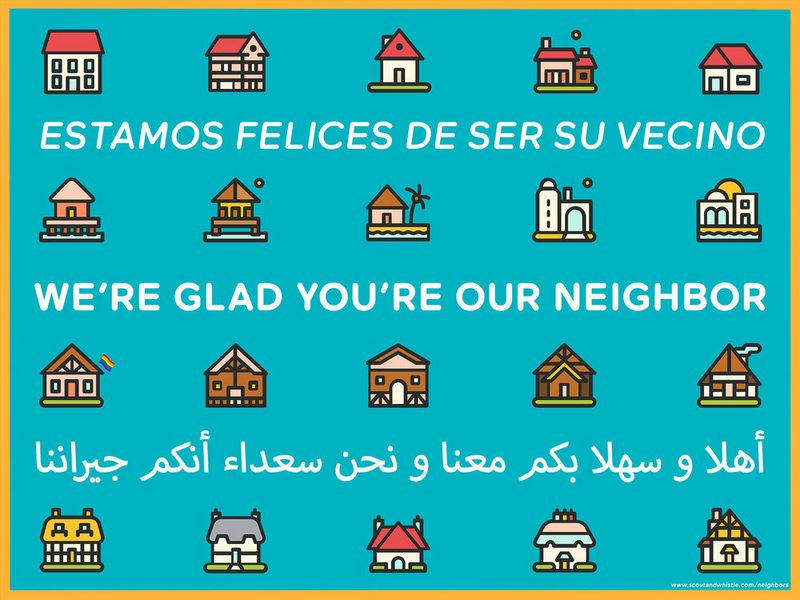 We wanted to make something that showed all of our neighbors, old and new to our community, that we were happy to have them around. Particularly in a political climate that may make them feel otherwise. These signs are inspired by the welcoming Mennonite signs we had recently read about. 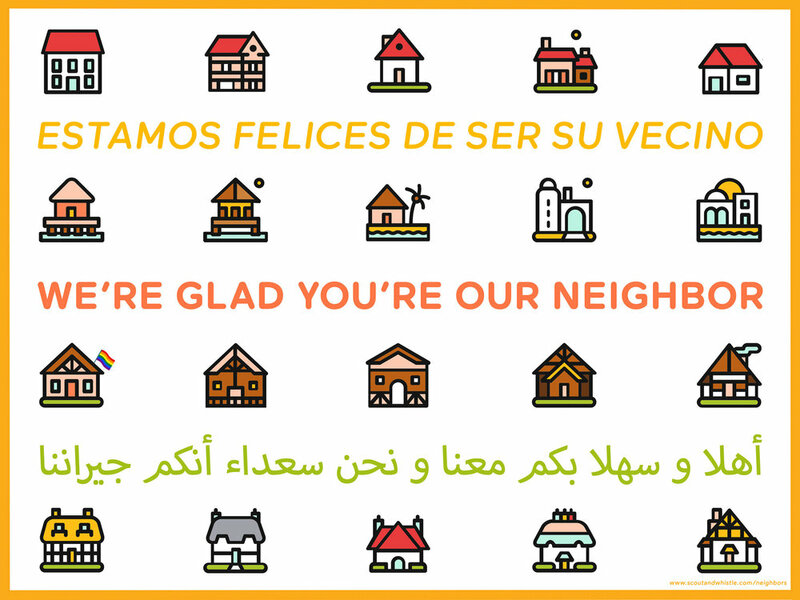 Though our community uses many different languages, these are three of the most commonly shared among long-time residents, immigrants and refugees who have joined our neighborhoods across the States. For local pick-up, signs are $10 including sign stakes. You can pay at pick-up or order online through the listing at the bottom of this page (for pick-up in Woodstock or Brooklyn) or through our printer and Partner-in-Sign here (for pick-up in Eliot or Foster Powell)! Signs are $10 plus shipping (via USPS Priority Mail) and you can purchase one through the listing at the bottom of this page or through our printer and Partner-in-Sign here! Stakes are not included but are sold at most hardware shops and run about $1 each. Please feel free to download these images, print and share! If you choose to have these printed up to sell, we ask that you keep our site link on the sign so others can find the files. We also ask that any profits (after cost of printing) are donated to an organization working to support refugees or immigrants. Thank you!